Due to the increasing demand to control power flow within our networks, more phase-shifting transformers (quadrature boosters) are being installed. The most important protection principle for transformers is differential protection. An additional phase-shift has to be considered by the differential protection to fulfill the requirements for selectivity. With two-phase faults outside of the transformer, an additional phase shift will introduce a differential current in the non-faulty phase. The protection relay has to handle this and be verified during commissioning. Relay manufacturers use different approaches as to how their relays ensure stability for phase-shifting transformers. Depending on the actual phase-shift, which is usually signalled to the relay using binary inputs, the differential protection has to adapt. The principle of phase-shifting transformers is based on the introduction of a variable phase-shift for the purpose of controlling the real power flow over a specific network path. In the US phase-shifting transformers are mostly called phase angle regulating (PAR) transformers, whereas in UK they are known as quadrature boosters. 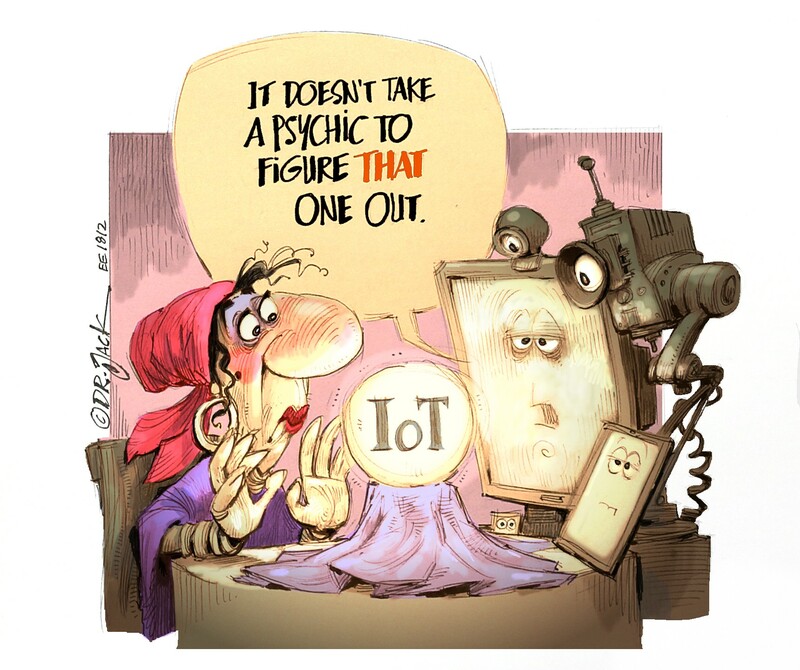 Within this article we stick with the term phase-shifting. The variable phase-shift is usually achieved by introducing voltage components shifted by 90° (hence the name quadrature) from a delta connected winding, whereas the magnitude is varied using different moveable taps. Fig. 1: Principle of a phase-shifting transformer. 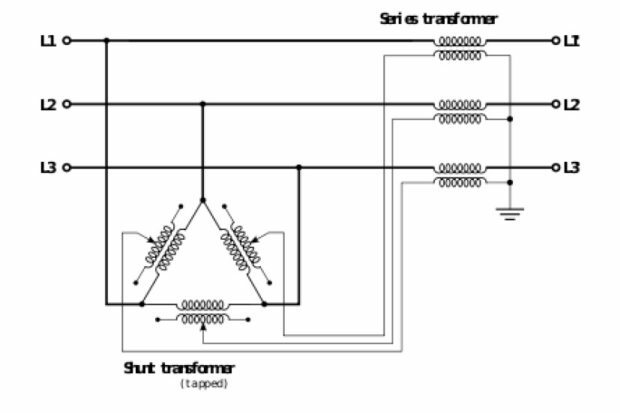 Using the shunt transformer in delta connection, voltage components shifted by 90° with respect to each phase are achieved. The output of the shunt transformer is then added to the phase voltages using a series transformer, which creates the vectorial sum of the phase voltage and the smaller 90° components. The tap connections on the shunt transformer allow the control of the magnitudes of the 90° components and therefore the magnitude of the phase-shift. Phase-shifts both in positive and negative directions are possible. The two transformer units are usually built as separate units in their separate tanks. But there are other constructions, where all the windings are on the same core (single-core), so that a single tank is more economical. Another common technical solution is the integration of a phase-shifting transformer into a power transformer for transforming from one voltage level to another. Power transformers between different voltage levels usually have multiple taps with slightly different turns-ratios for voltage regulation already. Then additional taps for the phase-shifting are built into the same transformer too. Since taps for voltage regulation can be available either on the high voltage or low voltage side the phase-shifting taps are then mostly realized on the opposite side of the voltage regulating taps. For example, a 410 kV:230 kV YNy0 transformer which has a conventional voltage regulation tap changer on the high voltage side with 17 taps. On the low voltage side there are 35 taps with phase shifts from -17,22° to +17,22°. The polarity of the phase shift is switched with a separate switch, usually called advance/retard switch, before the taps are wired to the online tap changer (OLTC). This transformer is built into two separate tanks, as is indicated by the dashed lines surrounding the separate units. The regulating transformer is just connected on the lower end of the low voltage wye winding and there is the delta winding from the main transformer tank to create the 90° phase-shifted voltages. This allows for a more economical construction of the regulating unit. For each phase a small voltage part from both of the two other phases in equal magnitude is added to the main phase voltage, so that a component with 90° is added finally. The main protection principle for power transformers is differential protection (ANSI 87T). Differential protection elements supervise the differential current between high voltage and low voltage side and trip as soon as the differential value exceeds a certain threshold. To stabilize the protection, a percentage restraint characteristic is used, where a restraint quantity (bias current) is used, which usually reflects the magnitude of the currents through the transformer. Using a percentage restraint characteristic, the differential current threshold can be controlled depending on the bias current. For higher bias current a higher threshold is necessary. Restraining the differential element with a bias current is used to achieve stability for a lot of different circumstances during transformer operation, such as CT errors or CT saturation. Additionally, the percentage restraint characteristic can compensate for small differences in the calculated differential currents due to voltage regulating taps of the transformer. Although there are some protection relays, which take the current tap position into account and adjust the turns ratio accordingly. For the calculation of the restraint quantity (bias current) the different relay manufacturers use quite different approaches and formulae. Fig. 2: Example of a 400 MVA_quadrature booster (Wikipedia). There are protection relays, which determine the bias current individually for every single phase, whereas other relays choose a maximum value among all the phases to get good stability for all different vector groups. For a transformer with taps for phase-shifting the influence of the phase-shift in both angle and magnitude cannot be compensated for with a higher percentage restraint characteristic anymore. Phase shifts up to 20° and more result in a current transformation behaviour, which is almost similar to a different vector group. So, for protection of phase-shifting transformers the differential relays have to adapt its behaviour according to the current tap position to achieve consistent stability for all different operating states of the transformer. A special challenge for the differential protection arises for 2-phase faults outside of the protected transformer. The phase-shift achieved within the transformer is effective for the positive sequence components as specified. But for the negative sequence currents the phase angle is applied into the opposite direction. This will cause an unsymmetrical distribution of the currents through the transformer for 2-phase faults, where negative sequence currents are present, and will introduce a considerable differential current in the non-faulty phase too. Differential protection for phase-shifting transformers has to take into account the phase-shift of the currents for accurate calculation of differential currents. Older standard transformer differential relays were not designed to cope with these specific requirements. Nevertheless, for the protection of phase-shifting transformers protection devices designed for conventional transformer protection can be used if an artificial third winding is used to mimic the phase-shifted currents. This is a quite often used approach and has been documented by the various manufacturers in application notes for their relays. Newest generation of transformer differential relays are already designed to support phase-shifting transformers and can model the specific behaviour of the transformer within the relay algorithm in firmware. A transformer differential relay for a 3-winding transformer from Schneider Electric has been used. Current inputs for the high voltage side are wired as usual into input A. For the LV side the secondary currents from the CT are first wired to the input B and then in series through the input C for the third winding of the 3-winding relay. Within the relay different setting groups are used, which parameterise the third winding in such a way, that the phase-shifted components are considered by the differential element according to the current phase-shift of the protected transformer. For positive phase-shifts a vector group of Yy0y8 is used, for negative phase-shifts Yy0y4. The CT turns ratio setting in the relay for the 3rd winding are set in such a way, that the resulting magnitude is about the same as the 90° component introduced by the phase-shifting transformer. Using binary input contacts from the tap changer, which controls the phase-shift taps on the LV-side, the relay is switched between the different setting groups instantaneously. It is important that the relay supports a setting group change during normal operation of the protection and does not require a reboot of the firmware or introduce another delay for the protection functions during setting group changing. For this specific application it was sufficient to use three setting groups, For the tap in neutral position +/- on tap position setting group 1 was used, which did not use the virtual 3rd winding at all. For all tap position from number 1 to 7 with phase-shifts in positive direction setting group 2 was used and for all taps from 11 to 17 with negative phase-shifts setting group 3. This was sufficient to fulfil the stability requirements under all different tap positions both for the voltage regulating taps on the HV side combined with any tap position of the phase-shifting side on the LV-side. The setting groups were changed using binary inputs from the tap positions. Since all the solutions for protection of phase-shifting transformer involve either complex customised logic in the relays or elaborate detailed settings a comprehensive commissioning and testing is necessary before the protection is put into operation. It has to be verified, that for all tap positions the relay behaves as designed and that the requirements regarding stability and selectivity are met. 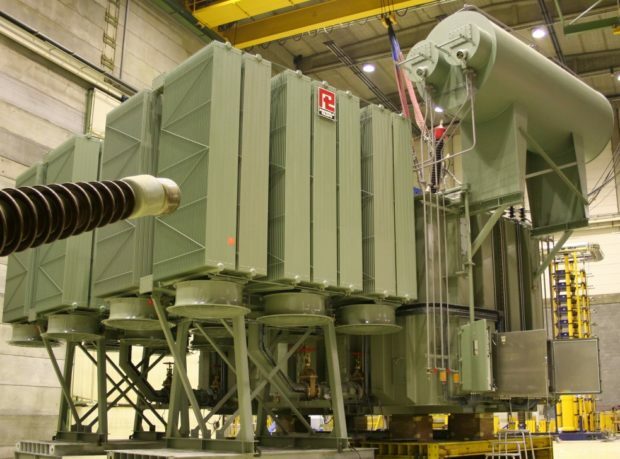 A utility in Austria did commission a phase-shifting transformer with a primary short-circuit test on the transformer. Therefore, primary injection was done using a mobile diesel generator set and distribution transformers 20 kV:400 V. They did inject on the 200 kV-side of the transformer and made a short-circuit on the secondary 110 kV side. The short-circuit current was applied with 100A which resulted in a voltage of 3,3 kV. Tests were done for 3-pole, 2-pole and single-pole outside faults. The resulting currents were applied to the protection relay and the IDiff and IBias values were retrieved from the protection device connected. Within the percentage restraint characteristic, the values were scaled up according to the nominal short-circuit voltage of the transformer, which correspond to realistic infeed conditions during normal operation. For all the tests done it could be shown that the protection was stable for outside fault using the protection principle with the virtual third winding. For secondary testing a model of the transformer to calculate its current distribution was developed based on a mathematical model of the transformer in an Excel spreadsheet. Using these values protection testing with injection of steady-state values according to the calculated values were possible, which did show the same results as the primary tests done. The most convenient tests are possible using a new protection testing software, which is capable to simulate the transient behaviour of a phase-shifting transformer. Within this software the transformer with all its taps both on the HV- and LV-side is modelled. Then different scenarios with steady-state and dynamic faults can be simulated easily, whereas the resulting transient current signals can be injected to the protection relay using a conventional protection testing device. Transformer differential relays for phase-shifting transformers have to consider the tap position of the voltage and phase-shifting tap changer into account to be able to calculate correct IDiff and IBias quantities. A common approach used with conventional transformer differential protection relays is to use a virtual third winding with currents from the CTs in series to the LV-winding. Using this approach, it is possible to simulate the 90° current component using logic elements of the relay or a corresponding vector group within the protection device. Using binary inputs from the tap changer the relay logic can adapt or switch between different setting groups in the relay accordingly. With the newest generation of transformer differential relays, it is already possible to model the detailed behaviour of voltage and phase-shifting taps within the firmware of the relay. For commissioning of differential relays on phase-shifting transformer, it is necessary to verify the correct behaviour of the protection for the different tap positions of the phase-shifter. For the critical case with a 2-phase outside fault, which will cause an additional differential current in the non-faulty phase, there should not be any false trips. Using a new simulation-based protection testing software, which can simulate a phase-shifting transformer with all its voltage and phase-shifting taps, a convenient way to test and commission such protection relays is possible. A manual calculation of the test quantities, which is complicated and error pone, is no longer necessary. P Baumgartner and W Lickinger: “Differential Protection for Phase-Shifting Transformers”, Bachelor Thesis, Technische Universität Graz, Austria, 2016). L Fickert: “Operating Power System using Phase- Shifting Transformers and Challenges for Protection”, Omicron User Meeting, Darmstadt, Germany, 2016. HJ Hermann and S Schneider: “Optimized Differential Protection for Phase-Shifting and Special Transformers”, Netzpraxis, 2016.